The Tour of Britain is the UK's biggest professional bicycle race and a centrepiece of the British sporting calendar as the country’s largest free-to-watch live sporting event, with many hundreds of thousands more following via television and online. The Tour returned after a five-year absence in 2004, quickly re-establishing itself as the main event in the British cycling calendar. Ranked at the 2.1 category by the UCI and initially held over five days, by 2008 The Tour of Britain had grown to become an eight-day event, allowing it to visit more parts of the UK than ever before. Each year some of the world's top cyclists compete on British roads, vying to win The Tour of Britain. In recent years home favourites like Tour de France Green Jersey Mark Cavendish and Olympic Gold medallists Geraint Thomas, Ed Clancy and Bradley Wiggins have been regular fixtures, while the likes of Thor Hushovd, Tom Boonen, Andre Greipel, Nick Nuyens and Edvald Boasson Hagen have all been stage winners in The Tour. Cavendish is just one of a number of young riders, like Swift, Boasson Hagen and Andy Schleck who have been successful in The Tour of Britain before going on to have even greater success in some of the world’s biggest races, showing the importance of The Tour in the world cycling calendar. 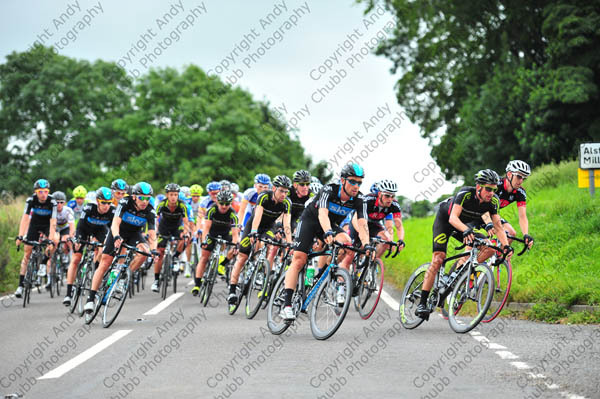 Pictures in this gallery were taken on Stage 2 (Nottingham to Knowsley) on the A515 just north of Fenny Bentley in Derbyshire as the riders slowed down to take a sharp left turn into Green Lane towards Alstonfield. All pictures are available to buy as a digital version without watermarks. The file size varies from 4-11Mb, mostly around the 6Mb size. The pictures were taken on a Nikon full-frame digital camera - the pictures on this site are much reduced from those that would be supplied. Pictures are priced at £25 each. If you require copies of these for commercial work, please contact me for pricing.